As rumored the Frozen themed attractions titled, “Frozen Fun” will make it’s way over to Disney California Adventure. Taking a hint from the extremely successful “Frozen Fun” over at Disney Hollywood Studios in Orlando, DCA’s version will have a few new added things. According to the Disney Parks Blog, this is a “limited engagement” beginning on January 7, 2015. However no end date has been listed and Florida’s version, that is still up and running, was supposed to be limited as well. In fact, it was supposed to be just a summer thing. “Olaf’s Snow Fest” – Stage 17 in Hollywood Land plays host to an immersive winter wonderland straight out of the Kingdom of Arendelle, complete with a giant snow play area and musical performances by The Frolicking Fjords and The Tubadors. You can glide down a snow slide, build a snowman of your own and visit everyone’s favorite snowy pal, Olaf, and give him a warm hug. “Olaf’s Snow Fest” has so much to offer, from beautiful photo opportunities to scrumptious treats and special “Frozen” souvenirs. It’ll be a great spot for making memories that’ll warm your heart. 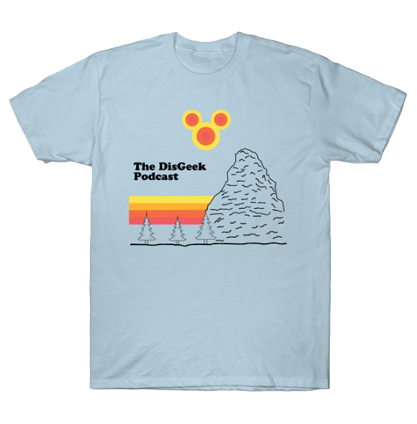 Wandering Oaken’s Trading Post – Head back outside, and nearby you’ll find Wandering Oaken’s Trading Post, where you can pick up the latest “Frozen”-inspired apparel, plush, toys, mugs and more. “Anna and Elsa’s Royal Welcome” – Anna and Elsa, the beloved sisters from “Frozen,” move from Fantasyland to an elegant new location inside the Disney Animation attraction at Disney California Adventure park, where you can meet them as part of a special royal greeting. The colorful and varied display in the Animation Courtyard will also now include scenes and music from Disney’s Academy Award-winning blockbuster hit, “Frozen,” and at Animation Academy, a Disney artist asks, “Do You Want to Draw a Snowman?” It’s a unique opportunity to learn how to draw your very own sketch of Olaf or Marshmallow. “Freeze the Night! A Family Dance Party” – Each evening, you’re invited to “chill out” in Hollywood Land with music, dancing, interactive fun and more in this new, family-friendly experience. You’ll arrive at the party through an icy archway to find wintry décor, dazzling lighting effects, cool photo spots, yummy treats and frosty beverages for all ages. Throughout the night, a giant thermometer registers the drop in temperature, as things get so cool they ultimately reach the freezing point when everyone lets it go in a spectacular “Frozen Fun” crescendo! A sneak peek of many of these exciting experiences begins Saturday, Dec. 20. Starting January 7, 2015, the “Frozen Fun” officially launches at Disney California Adventure park, and a new “Frozen” show makes its debut in Fantasy Faire at Disneyland park. The Royal Theatre’s resident storytellers, Mr. Smythe and Mr. Jones, present the tale of “Frozen” in a fun-filled, fast-paced retelling of the story, featuring their own wacky performances in key roles, along with Anna, Elsa and the Faire Maidens. And when “Mickey’s Soundsational Parade” resumes daily performances January 7, Anna and Elsa will once again make pre-parade appearances on their own special float.